Progress in the growing technology makes us more becarefully, the number of crimes using the Internet and computers as media making us have to be careful in maintaining what and who is using our computers. For the needs of the personal computer is very useful in storing data and some other activities, but imagine if your computer is misused by someone else. This will be more dangerous if your computer is in use for many people, we will never know what these people have done with our computers. In Office much misused computer, thereby reducing work activities. For keeped save we need Computer Spy so we can know what is done by the computer user. Spy is used for positive activities rather than to steal passwords or steal data from other people, but this program is very useful to keep your computer from the action that is not good. Some spy programs have a downside could even be detected as malware anti-virus or trojan. It is necessary for the safe Computer Spy is not detected as a virus and can be used as invisible. 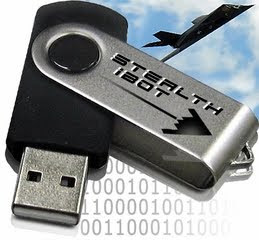 One who can rely on is the iBot Stealth Computer Spy, the USB hardware is already equipped with a program that will automatically save all the activities done by the computer. In addition to these advantages, this program is also easy to use only with the insert to the PC / notebook. Wait a few moments and then remove the USB and to know all the activities recorded, insert back to the PC. This program can save more than 10.000 imageshot in 1GB database and much Virtually Infinite Amount Of Text, so we can save much data. This program also work in XP and Vista windows OS so can fully work. Once again this program is safe, so are not detected as malicious programs on the antivirus. But do not use it for malicious activity, because this program is made for computer owners who want to keep in order to avoid malicious activity on your PC / Laptop.